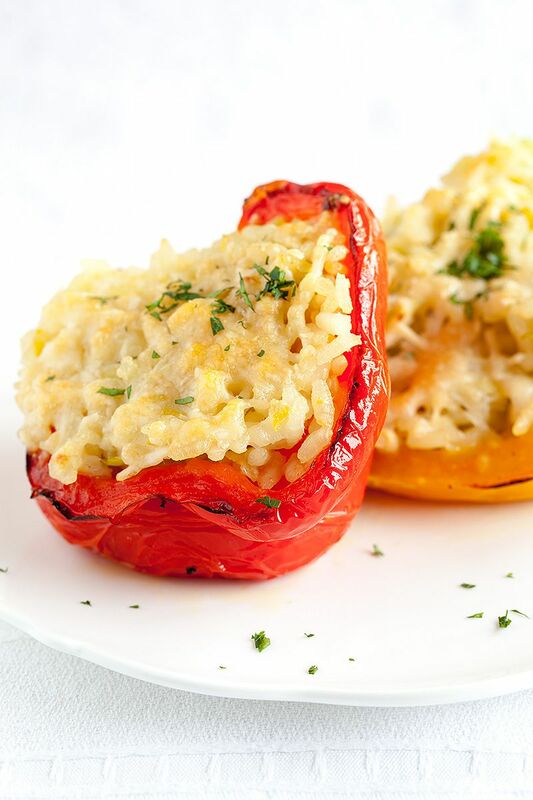 Stuffed bell peppers with risotto rice is a quick and easy dish you can serve as a starter or side dish. 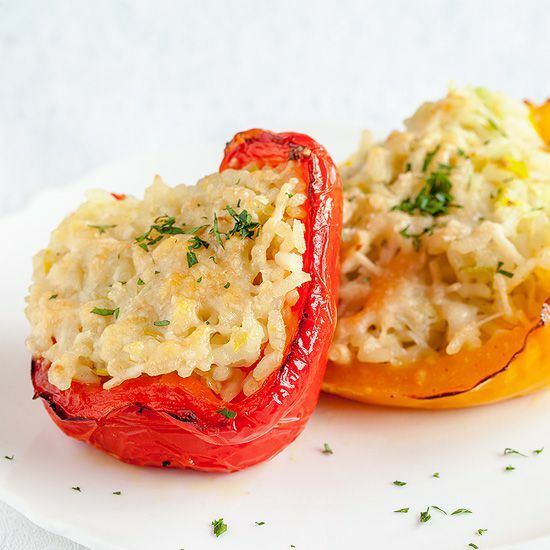 These Stuffed bell peppers serve up to six people. Heat up your oven to about 200 degrees celsius or 392 fahrenheit. Cut and dice onions and the two cloves of garlic. Rinse and cut the leek into little parts. Heat olive oil in a sauce pan. 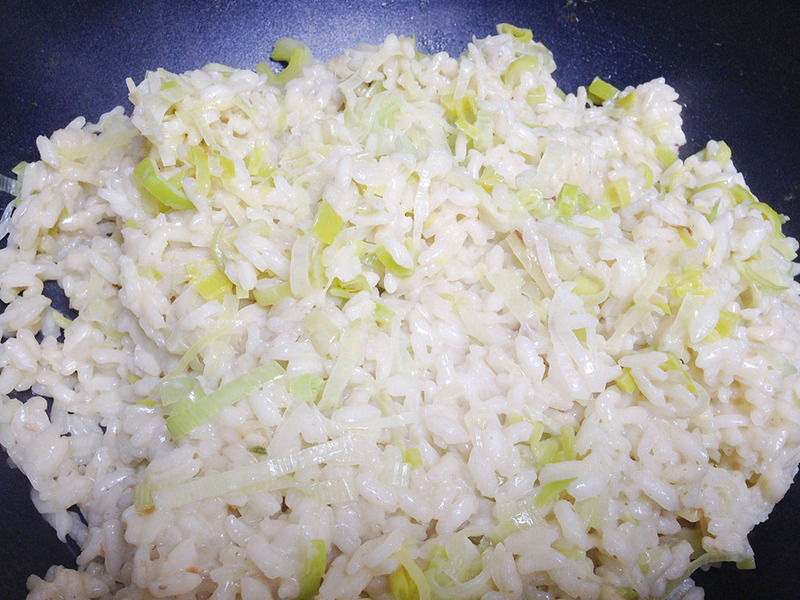 Sauté the onion and garlic, then add the risotto. Bake until the rice is glossy. 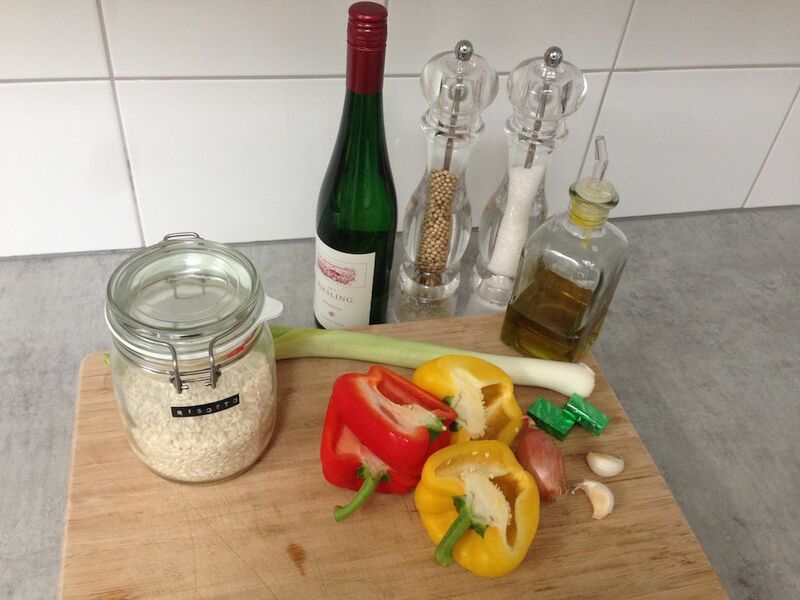 Moisten the risotto rice with some white wine. Add the vegetable stock little by little until the risotto rice has been properly cooked. You can tell when the rice has been cooked by tasting it. Take a skillet and bake the chopped up leek. When ready add this to the risotto rice mixture. Make the rice creamier by adding 1 dl of heavy cream and 80 grams of parmesan cheese. Keep some of the parmesan cheese aside for garnishing the bell peppers later on. Season with salt and pepper. Halve the bell peppers and clean them. Place on a baking sheet and sprinkle with olive oil, pepper and salt. Heat the peppers up in the oven for about 20 minutes. 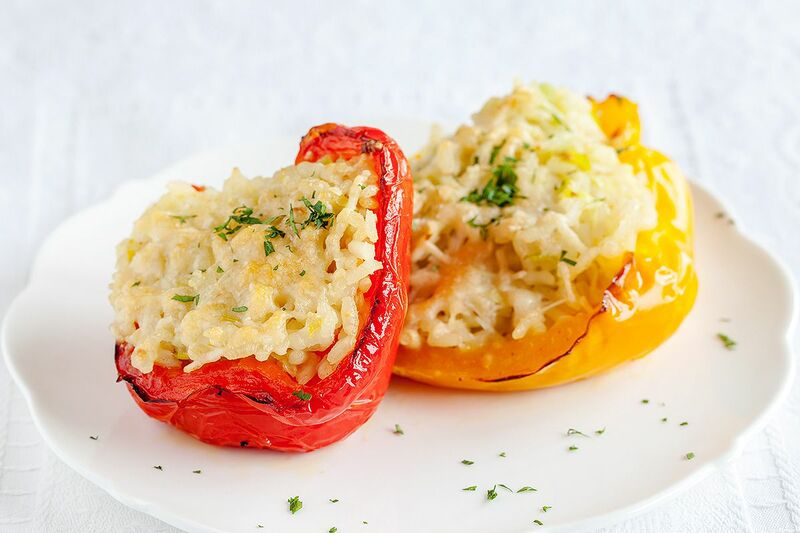 When cooked, remove them from the oven and fill the bell peppers with the risotto and garnish with some parmesan cheese. Put back into the oven until the cheese has gotten a golden brown color. Serve while hot, but you can wrap these up in cling film after they’ve cooled off and refrigerate for a day. Enjoy! Ooooh, that looks so good! pinned, and on the menu!